Originally from India, Sweta is a doctoral student at Kent State University, Prior to beginning her graduate studies, she worked with an anti-human-trafficking project that was administered by the European Union through the Group Development Association of France in India. During her tenure there, she was actively involved in restoration, rehabilitation, and reintegration of the trafficking survivors into mainstream society. 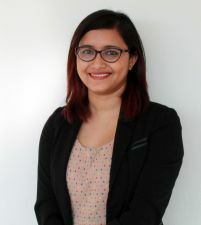 Sweta’s dissertation explores why some non-state armed groups voluntarily comply with international humanitarian norms and subsequently contribute significantly to the protection of civilians in situations of conflict. Through her research, she expects to expand our understanding of non-state actors and their socio-political relations, as well as constructive conflict management in regions where the state authority is absent or extremely oppressive. Thus, she plans to explore an alternative to the mainstream understanding of peace-building that still equates strong states with sustainable peace, and consequently, is impervious to the realities of irregular wars and sub-state networks.